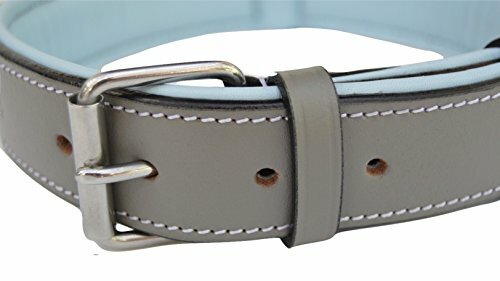 Great Leather Dog Collars Aren’t Hard to Find! 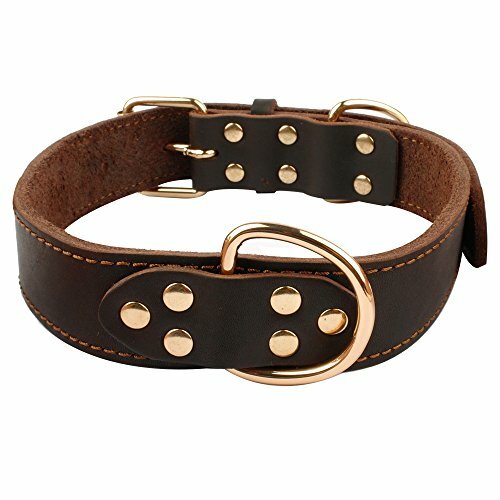 Ah yes, the perfect leather dog collar. While they can be both functional and a fashion statement, there’s no denying how great a simple collar can be! 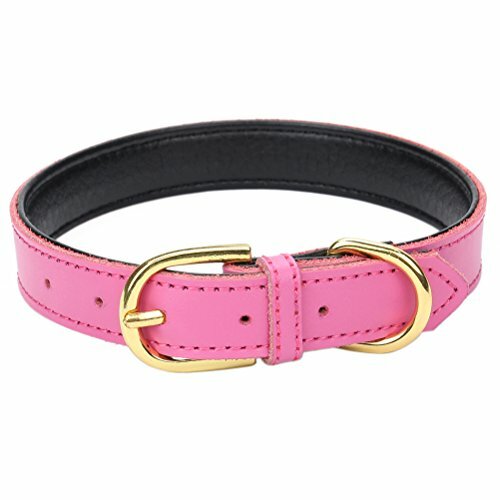 Leather is a great choice for a collar because nylon can catch the hairs on a longer-hair dog. 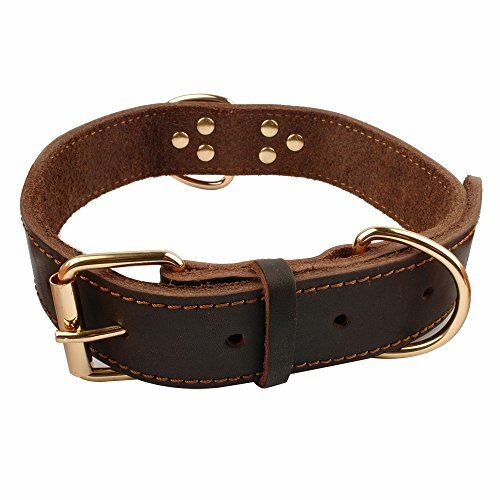 There are the classic flat collars but also rolled leather which are becoming more popular. 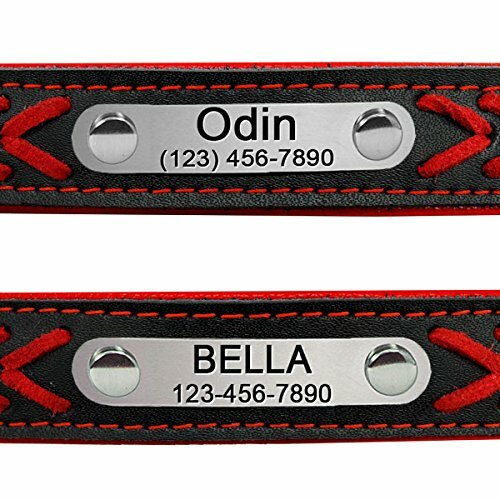 Don’t forget about the option to personalize and/or engrave collars with ID tags, names, and phone numbers! 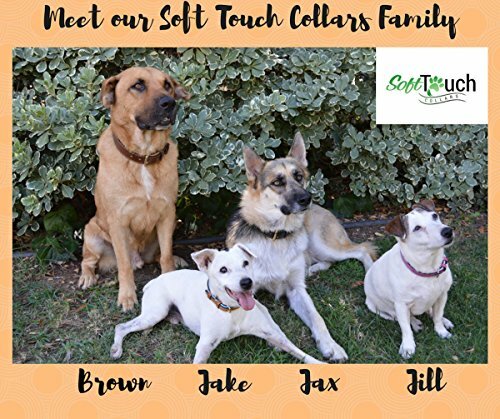 From custom leather dog collars to ones that are handmade, there are plenty of styles and makes to choose from. They definitely make a great gift for the holidays. You might even be looking for leather dog leaches to go with the collars – in which case we’re going to write about them soon! We love dogs – we grew up with dogs and even though we get to dog sit a Golden Doodle on occasion, we now write dog posts about things like awesome Christmas sweaters for dogs to curb our dog withdrawal! 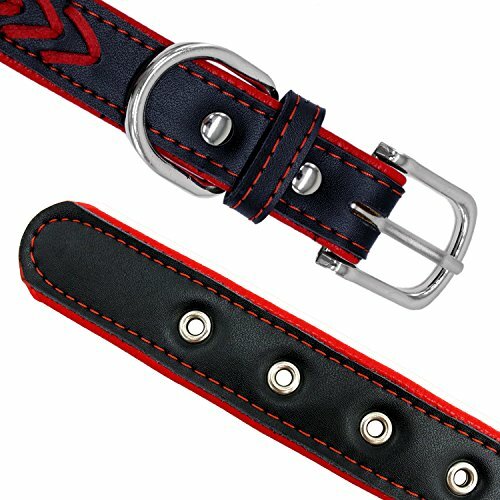 So, if you want to get started browsing, look here for top-rated leather dog collars. If not, then read on to check out some great leather dog collars! 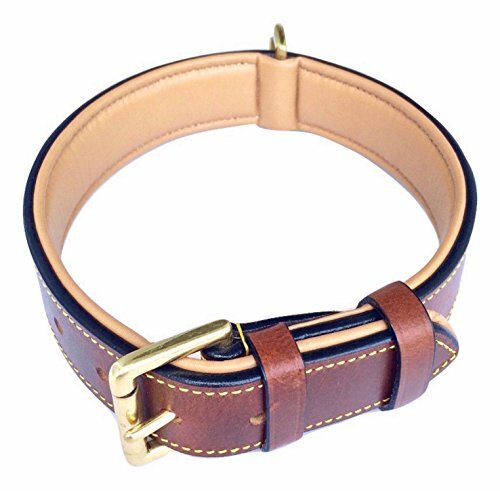 Before you buy, here are a few of the things you will want to consider about any new leather dog collar for that pooch in your life. Purpose/Style: There are different styles of collar that are important to consider. Some are just for looks while others have handles or loops for attaching a leash. 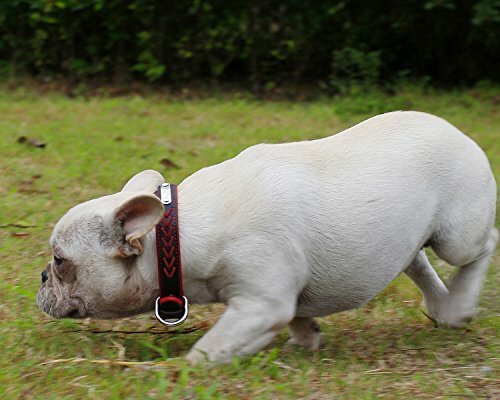 It’s important to think about the usages of the collar and the dog you’re buying for! It might become inconvenient to buy a collar only to have to buy another one for a different usage. Size/Fit: Obviously, this one is very important for both the comfort and safety of any dog. 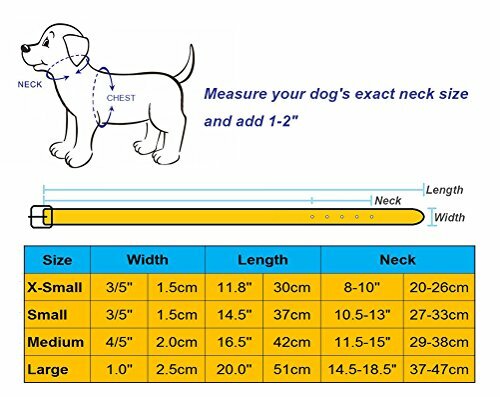 Most of the collars come with sizing charts so if you are unsure about size – take a string and measure the dog’s neck size. 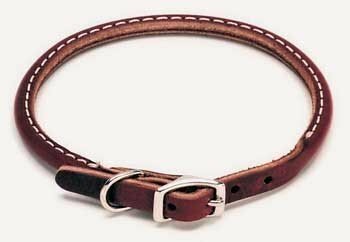 Too small a collar can be strangling and uncomfortable, too large a collar can slip off if you aren’t careful. Of course, sizes usually have a few adjustable holes so you can play with the exact sizing for the dog. That said, it’s important to get the base length right so that the collar looks right and doesn’t have extra leather flapping away not tucked into a buckle, for example. Clasp/Details: Most clasps are the same (like a belt-style hole and prong) but there are a few variations. Another clasp factor is what it is made of. Different metals can bend or wear away over time making them less sturdy and secure. 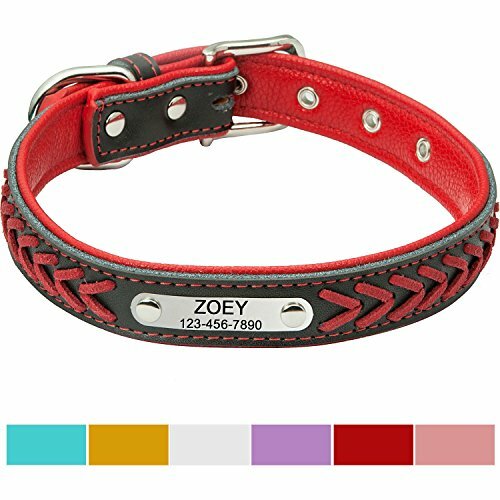 Different collars also come with different details like metal studs, metal plates for engraving, etc. 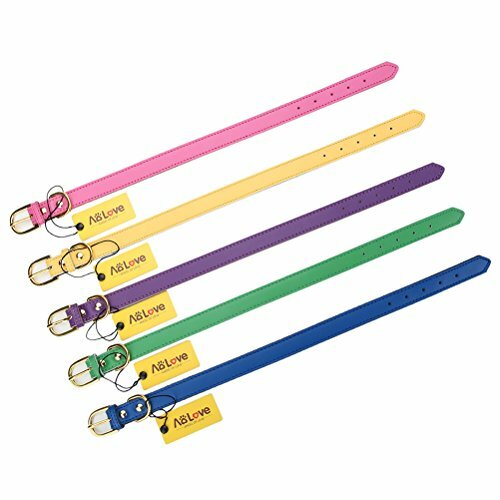 On cheap collars (or with a particularly active dog), these can come off and pose a hazard to a dog or even a baby. Our advice is to stick to simple “leather-only” collars with minimal details. 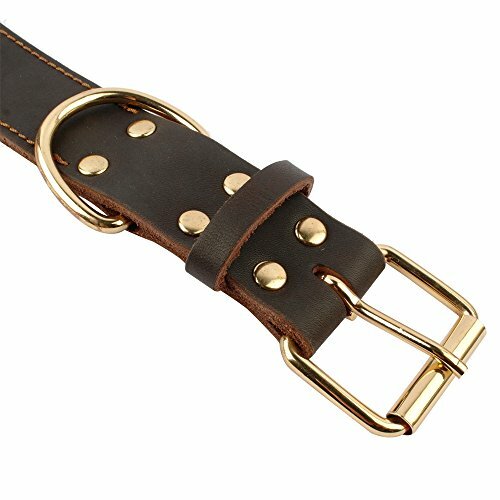 Price/Quality: As for price and quality of a leather collar, read the reviews and pay what you are willing to pay. Remember, cheaper doesn’t necessarily mean lower quality and more expensive doesn’t always mean it’s better and going to last longer! 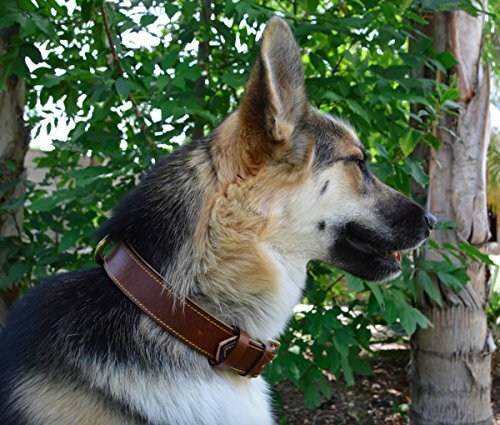 Below, you’ll find seven of the best leather dog collars on the market! 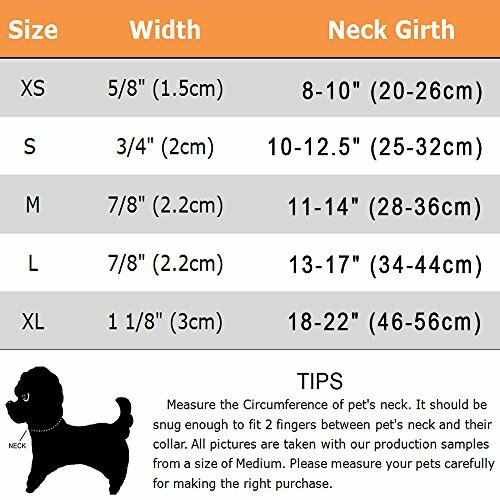 Remember to check the sizing to ensure the right fit for the intended dog! 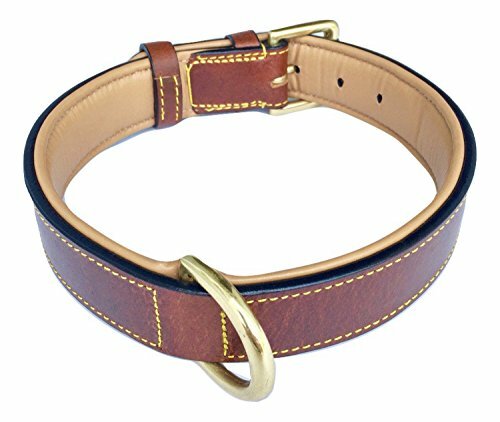 Starting off with a classic leather collar and a classic look for any dog. 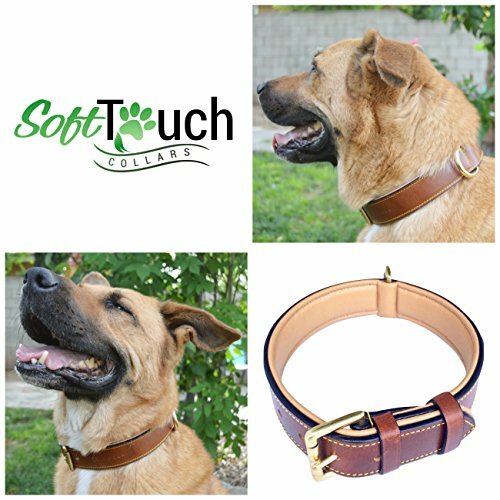 A simple brown leather collar goes a long way to making your dog look and feel confident! This one is great because the inside is padded and comes in different colors. 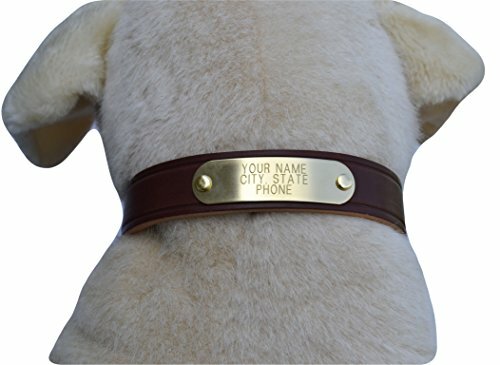 You can also order the matching leash if you wanted to buy two things for the perfect dog gift! This collar also has a lifetime guarantee which is a bold statement for their craftsmanship. 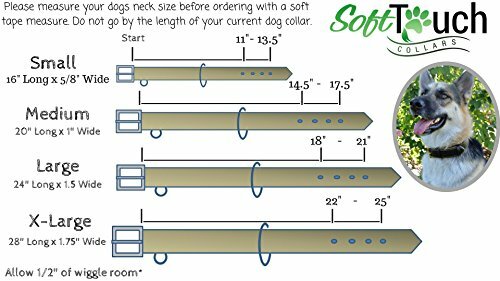 If you are looking for a collar for a smaller dog, these ones might do the trick. 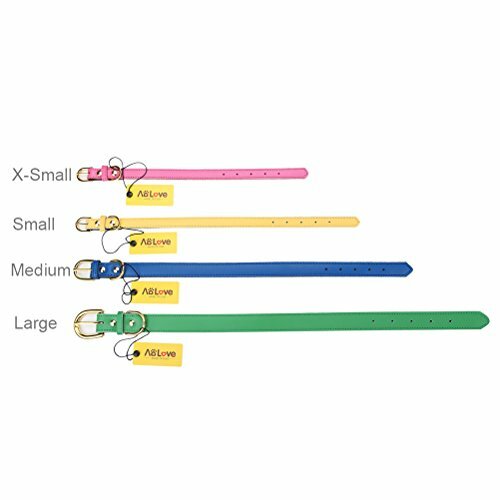 These adjustable collars come with 5 holes to get the sizing just right. The metal is plated with nickel and made to last your dog a while while looking great. They also come in LOTS of colors to choose from! Here is a great example of a rolled leather collar. As you can see, the collar is rounded off for most of the length so as to not catch hairs or dig into the dog’s skin like a flat one might. This roll also increases the strength of the leather in those places since it’s thicker and more durable. 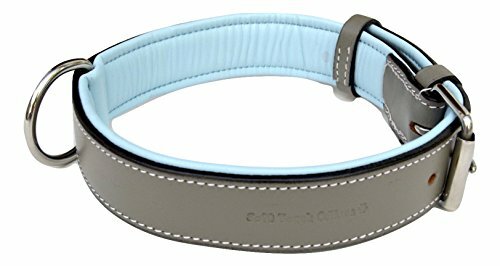 The collar is also adjustable with a few holes so it’s easy to get the sizing right. 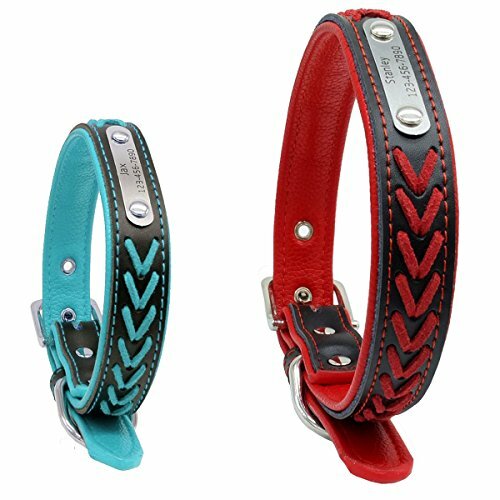 These padded and two-color leather collars are a great mix of style and function. 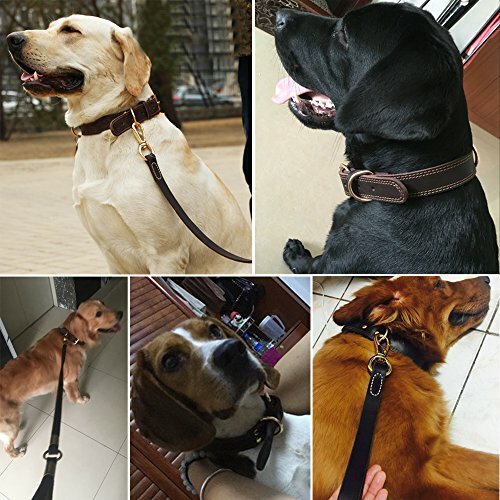 The padding helps to ensure a great and comfortable fit on the dog while the metal is strong and finished with a D-ring for a leash or training purposes. 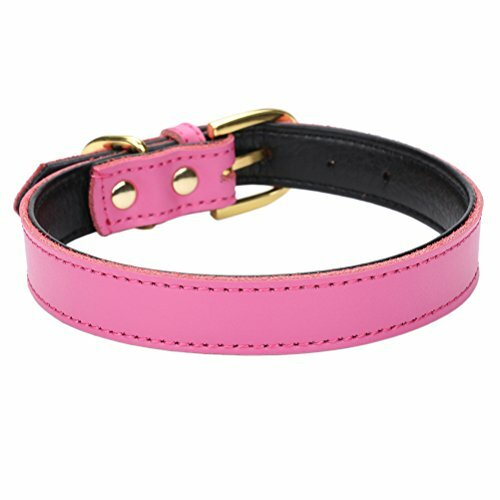 We love the black trim on the collar – we think it would look really sharp on any dog! 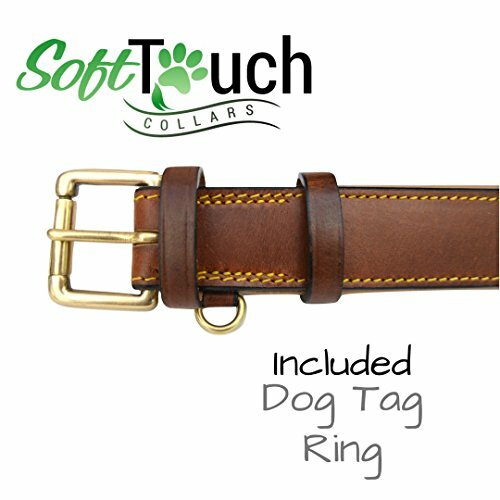 For that great collar for medium to larger dogs, here is a simple leather collar that comes in bigger sizes only. 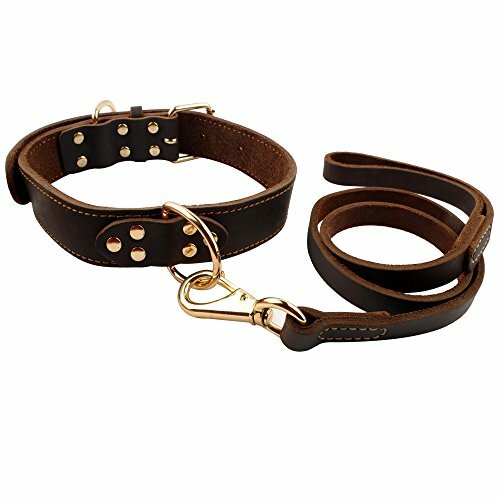 The simple design is strong leather with adjustable holes and a D-ring for attaching a leash. You can’t go wrong with the design. 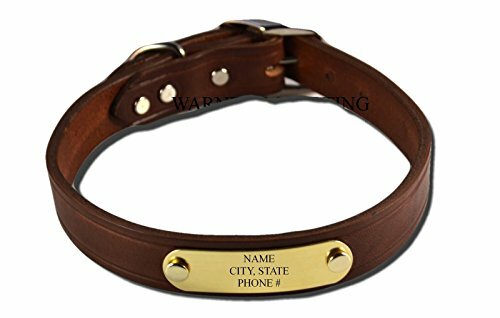 This collar comes with a brass engraving plate and can be ordered with free engraving which is cool. Would make a great gift for new doggie parents! 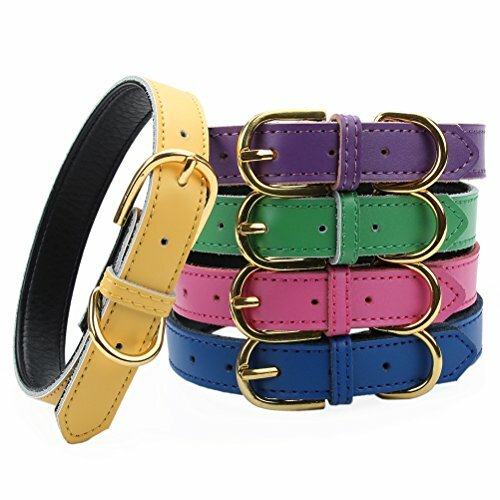 For a different and fun look, why not check out a braided leather collar? These are great for a bit of style points with function, too. 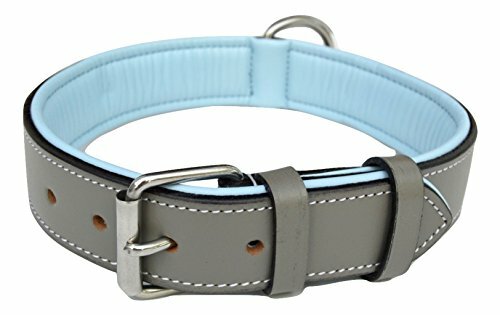 The two-tone color makes for a great looking colorful collar. Another great feature with these ones is that shiny steel plating that can be engraved with vital information. 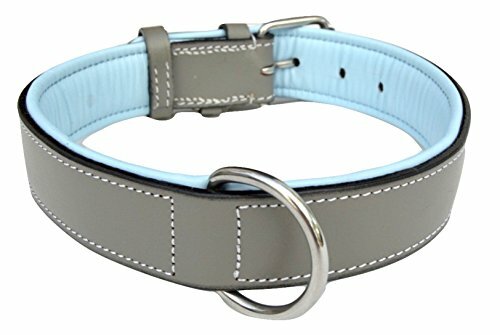 These collars are also padded on the inside for added comfort! 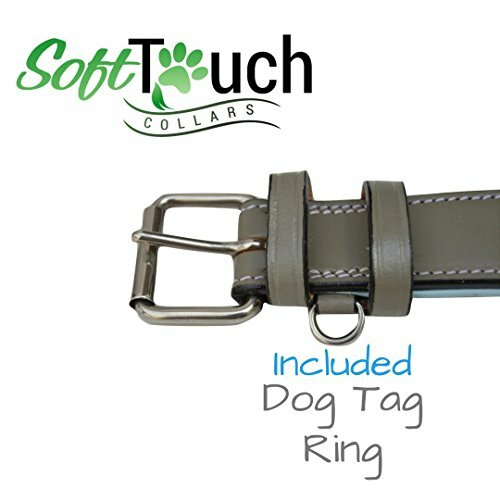 Finally, a good looking, simply-detailed, heavy duty leather collar for training/walking a bigger dog. Not only is the D-ring at the top for easy access, but the rings are fastened with metal rivets for added strength. 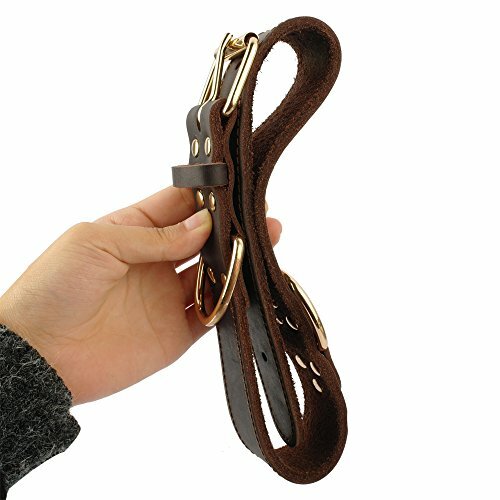 Oh and here’s the matching leather leash if you want them as a gift set! 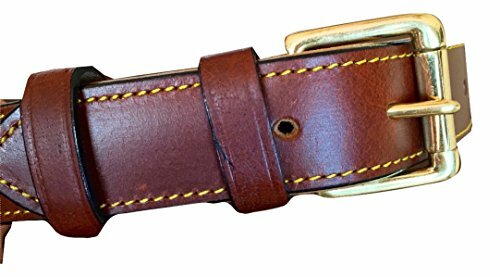 And there you have it – some of the best leather dog collars around! You really can’t go wrong with style – but the biggest thing is comfort and security. 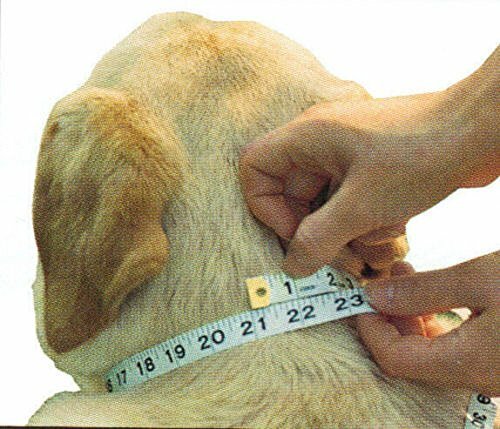 Make sure the collar fits right and don’t be afraid to measure your dog! Which ones would your dog love? 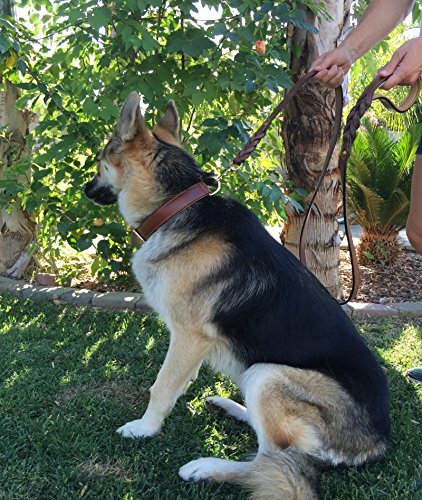 Let us know on Twitter @boardandlife and send us a photo of your dog with its new collar. We’d love to see!